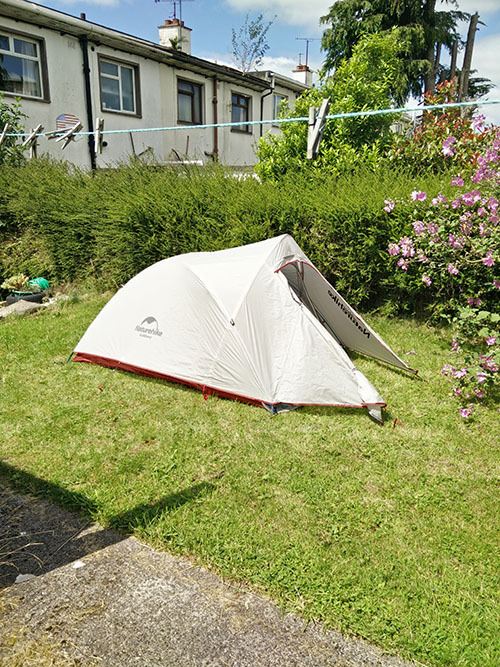 A friend has just bought a Vango Cyclone 200+ as a bit of an impulse purchase, but is a little unsure about it. 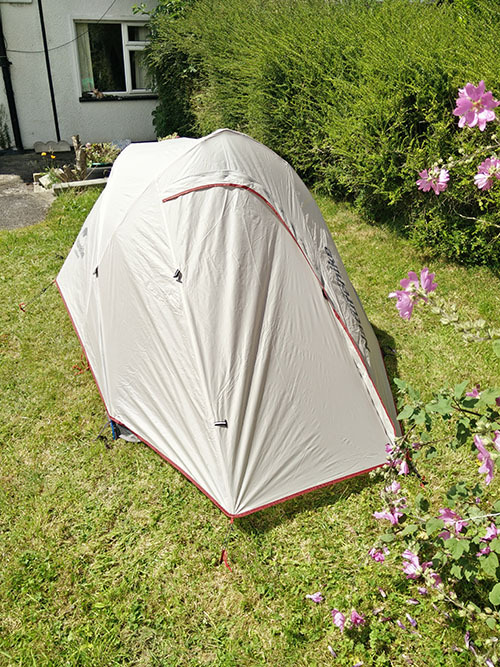 I can't find a single review for it online, even on that site Liam posted (which has about 60 Vango tents reviewed!) I don't suppose anyone here has had any experience with it? 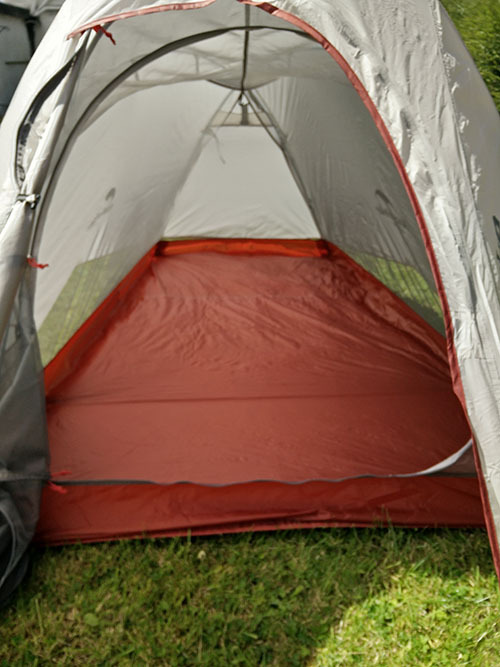 It is weighing in at 3.6kg and is a 2 man tent described as lightweight and for backpacking. It strikes me a little as being at the upper end of what you would want to carry (1.8kg each). Any thoughts? If I am ever in the hills with my mate Paul we normally bring a Marmot Thor 2P @3.5kg. We have never had any issues with carrying that weight for an overnight. I suppose if you were going for multiple days and had more food to pack the weight of the tent may pose a bit more of an issue. currently I have a Hilleberg Akto which appears to be very well made and probably indestructible under real conditions. In the past I have had a VauDe Space Explorer which was nice but a l little bulky and a North Face tadpole which I was not that impressed with. Bear in mind that while bomb proof, the Akto is not free standing and requires guying. I look forward to giving it a good go in the Mournes. a North Face tadpole which I was not that impressed with. I must say that I have been nothing short of amazed with my tadpole. From overnights to living out of it for a month it has been flawless. I've had the Argos Pro Action Hike Lite for about a decade now. It's done the entire Pennine Way with me and god knows how many Lake District wild camps. Weighs bugger all and cost me the grand total of fifteen quid. Value for money is an understatement. Can't get them any more from what I can see. Haven't even taken it out of the bag yet, it was waiting in my shed when I got home from work yesterday. I'll stick it up in the garden tomorrow for a first look. 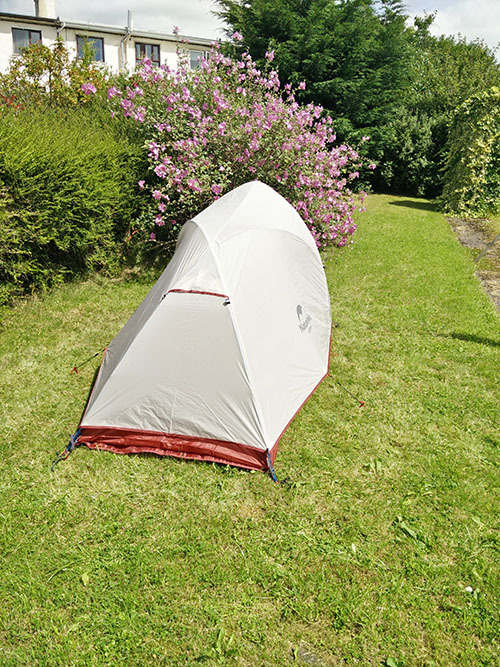 I considered lots of tents including Hilleburg, Lightwave, MSR, Big Agnes and Tarptent... but in the end couldn't look past the features and value of Decathlon's finest... the Quechua Quickhiker Ultralight 3. Great to see an example of another tent available. Those Naturehikes seem to be great value.